Australian Warehouse Solutions offers AWS Rhino cast hand films designed to protect pallets in the warehouse or while preparing them for transit. 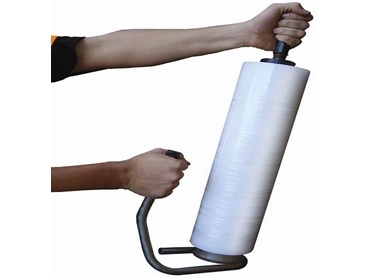 AWS Rhino cast hand films are a line of pallet wrapping multi-layer cast films wherein the outer layers prevent punctures while the inner layers deliver performance as well as strength. AWS Rhino cast hand films are manufactured with superior quality LLDPE resin, ensuring guaranteed performance in securing and protecting pallet loads. AWS Rhino cast hand films are easy to use and feature excellent stretch properties that reduce the cost of wrapping each pallet. These pallet wrapping films meet OH&S requirements as each roll is lightweight and requires less effort to stretch the film as well as wrap the pallet. AWS Rhino cast hand films are available in a choice of regular or heavy duty films. Free hand inserts are also provided with each carton of film to eliminate the need for dispensers. AWS specialises in providing innovative and cost-effective packaging solutions.